Students learn how to key the 13 different leaves including elm, ash, walnut, maple, pine, cedar, locust, oak, cottonwood, and willow. Easch actual leaf specimen is individually bagged. 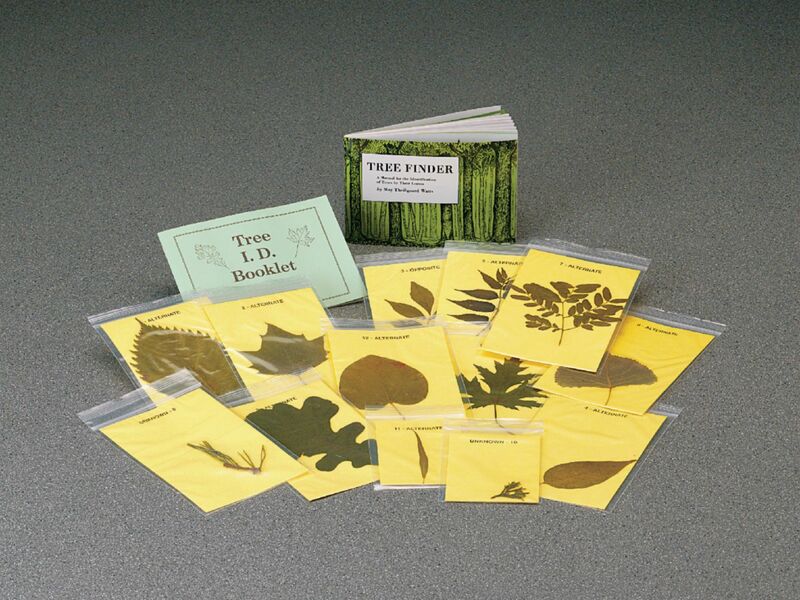 Students can then use the included Tree Finder book, also sold separately, to identify their local trees. Includes leaf key and materials for 24 students.